Pressure cookers create a Maillard reaction that allows flavors to develop in a way that you could never get in slow cookers. They create a deep, rich flavor infusion that cannot be beaten. Today I’m going to discuss how to get the most out of pressure cooking. I’m going to cover what the maillard reaction is, implications for pressure cooking, and then I will pass on a few recipes that will leverage all of this information. One of the biggest misconceptions about pressure cooking by experts and home cooks alike is that you always have to pre-brown your meats and vegetables before you cook them. I have to get a little nerdy in order to explain why browning before is not necessary, and explain the chemical process of browning, called the Maillard Reaction. Understanding the Maillard Reaction will help you understand a bit more about how pressure cooking works, and why it works so well. In this post we will cover all of that, and it should satisfy the cooking geek in you like it did me. The Maillard Reaction is a chemical reaction that occurs when you apply a high heat to a dry food and the amino acids and proteins rearrange and cause the food to brown on the outside. This forms a web of flavors around the food. These webs contain aroma molecules, flavor layers and they make the outside look brown. As you continue to heat the food, the flavor deepens and grows and grows (as long as you don’t cook it for too long and burn it.). The flavor of the sear comes from the flavor in the food which is why browned meat doesn’t taste like browned bread. The reason the Maillard Reaction traditionally has had to occur in an alkaline, dry environment is because you have to be able to reach a really high heat for the reaction to take place. So imagine searing a steak in a cast iron pan. In some cases when you’re browning, you might have even added an alkaline like baking soda to boost this process and get more of a reaction. It’s important to note here that the Maillard Reaction requires both sugar and protein to occur. For sugar alone, this process is caramelization. While they look the same, as you know, they have very different tastes. 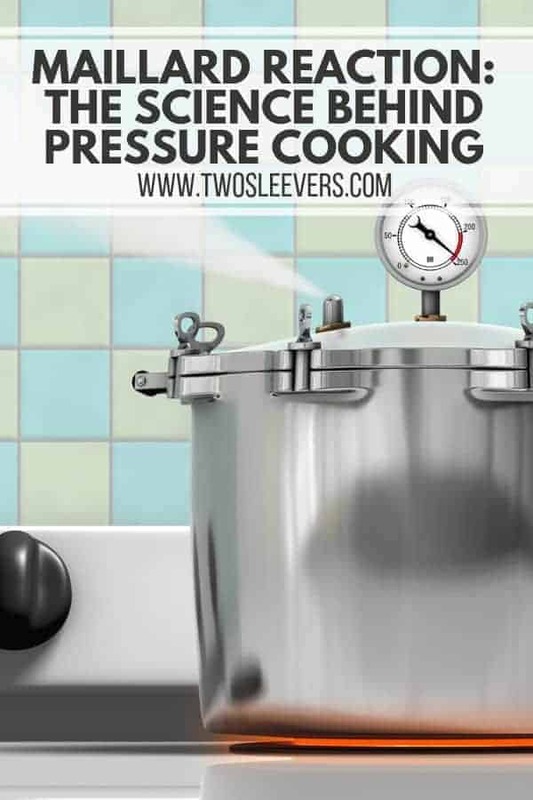 In pressure cooking the boiling point of water is increased from 212F to 230F or higher, so the water gets much hotter than it would outside a pressure cooker before it boils. 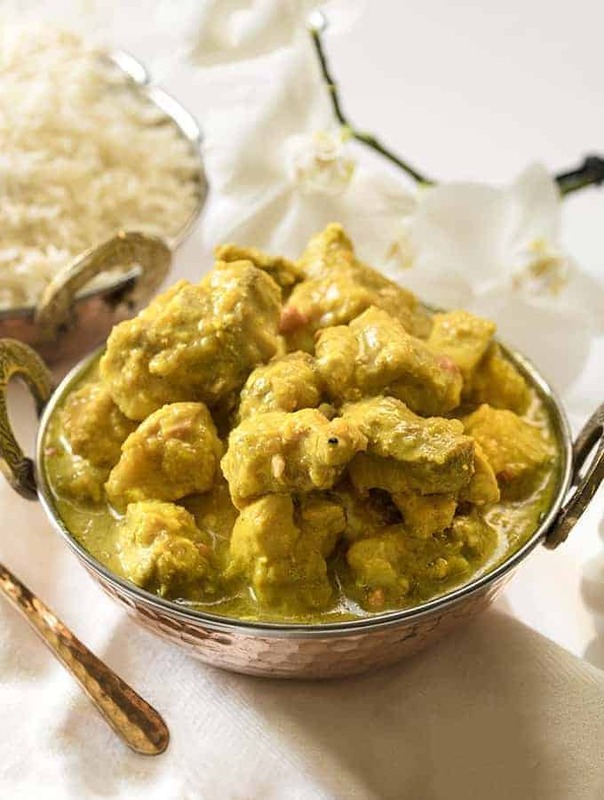 Therefore, you can start to reach a Maillard level heat in a moist environment (pressure cooker) where normally you would have to have a very dry environment to reach this heat. So this is why you don’t have to brown the meat before you cook it — the pressure cooker conducts the Maillard Reaction for you with the super hot water! You’re probably asking yourself why then so many cooks and experts tell you to brown the meat or veggies before you pressure cook them. 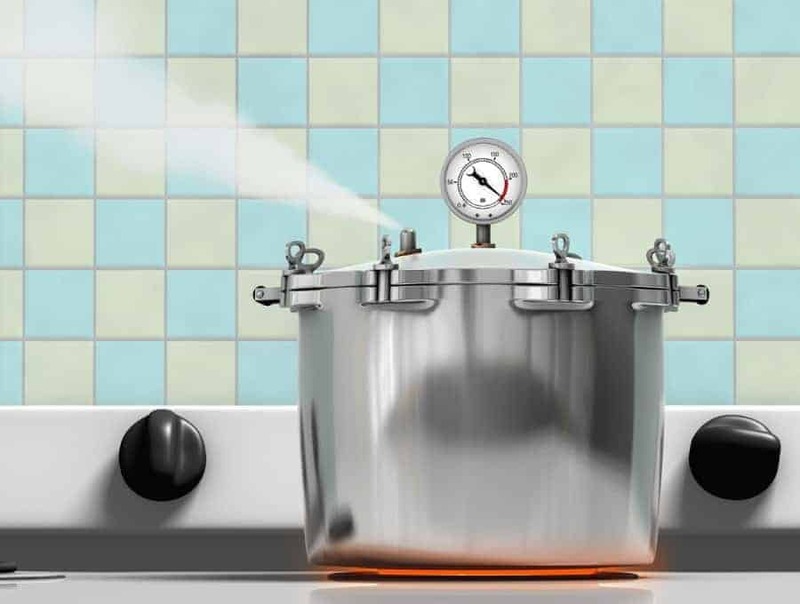 As pressure cooking, and specifically the Instant Pot have surged in popularity, chefs have adjusted their recipes to accommodate this method of cooking without taking into consideration the science of the Maillard Reaction. When they ask you to brown or pre-cook vegetables and only finish off the cooking in the Pressure cooker, they aren’t really taking into consideration the science behind how pressure cookers work. There may still be a time or two that you may want to pre-brown. I have an gyro recipe that’s great for sandwiches, pita bread, etc. This recipe tastes great but comes out looking greyish and ugly. For cosmetic purposes, it may be smart to pre-brown. This way, the meat comes out looking better. While pressure cooking will give you the great flavor that the Maillard Reaction brings, there might be a few instances when you want to brown meat or veggies after you cook. The main reason to brown after is really about texture and color. Take my gyro recipe as an example. While you can make this completely in the pressure cooking without browning and it tastes great, it doesn’t look great. 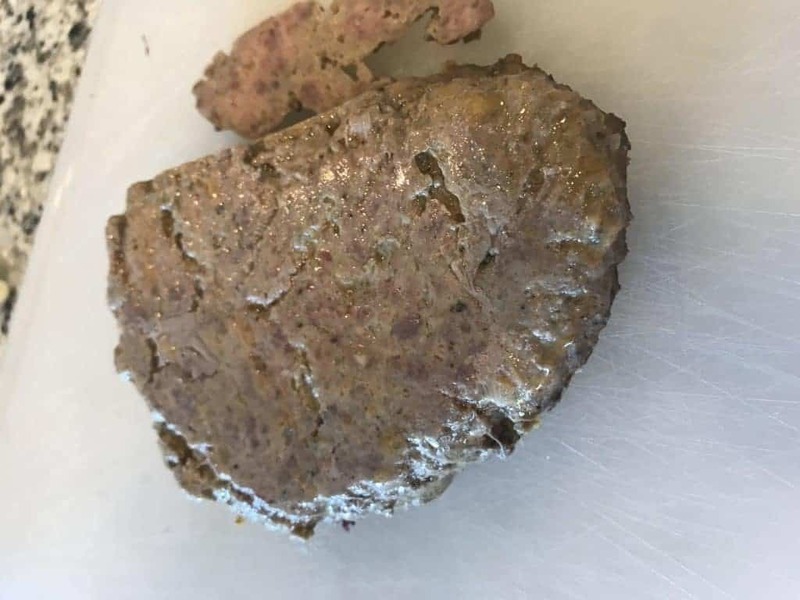 It comes out looking like a grayish lump of meat, and not what people are used to seeing for gyro. So in cases like this you can take a few minutes to brown the meat for aesthetic or texture reasons. You may also want a little caramelization after the fact. In this Tres Leches bread pudding for example, I ask you to put a little sugar on top and broil it. That type of a broiling effect is not possible in a traditional pressure cooker. It is, however, possible in a Ninja Foodi. If you’ve been wondering about the Foodi, check out my review of the Ninja Foodi HERE. Flavor loss. When you pressure cook water escapes or leaches into the pressure cooker and adds more flavor to your dish. When you’ve pre-browned it, you are sealing in that water with the layer of browning and it can’t escape to flavor the food. In many cases, you’ll then have to add plain tap water to compensate for this, and it won’t have nearly the flavor that the water from the source would have. So again, if you want the appearance and texture of browning, it’s better to do it after you pressure cook. Burn message. When you sauté in a pressure cooker and the meat sticks to the bottom as it does when you saute, the cooker will sometimes think that you’ve burned something and it won’t seal all the way to pressurize. So to be safe you have to scrape the bottom of the pan after you saute and before you pressure cook – way too much work! No pre-browning necessary in this delicious dish, again, let your pressure cooker do the heavy lifting for you. All of the flavor without the work in this yummy stew. 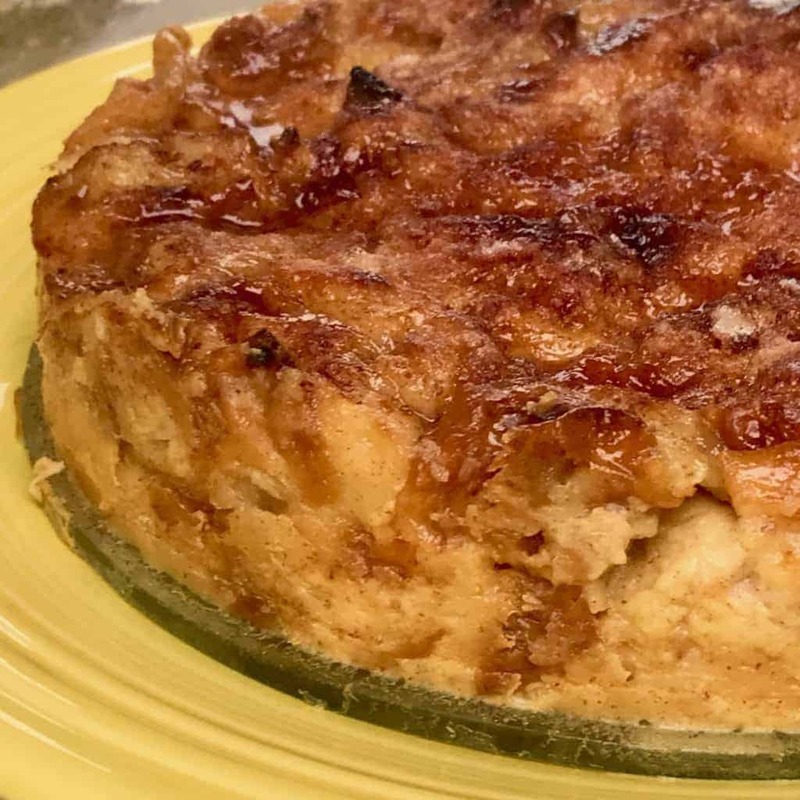 This one is a dessert often served in Indian Restaurants, but when made in a pressure cooker the flavor is so much richer. This is one where the Maillard Reaction really works to the advantage of the dish. 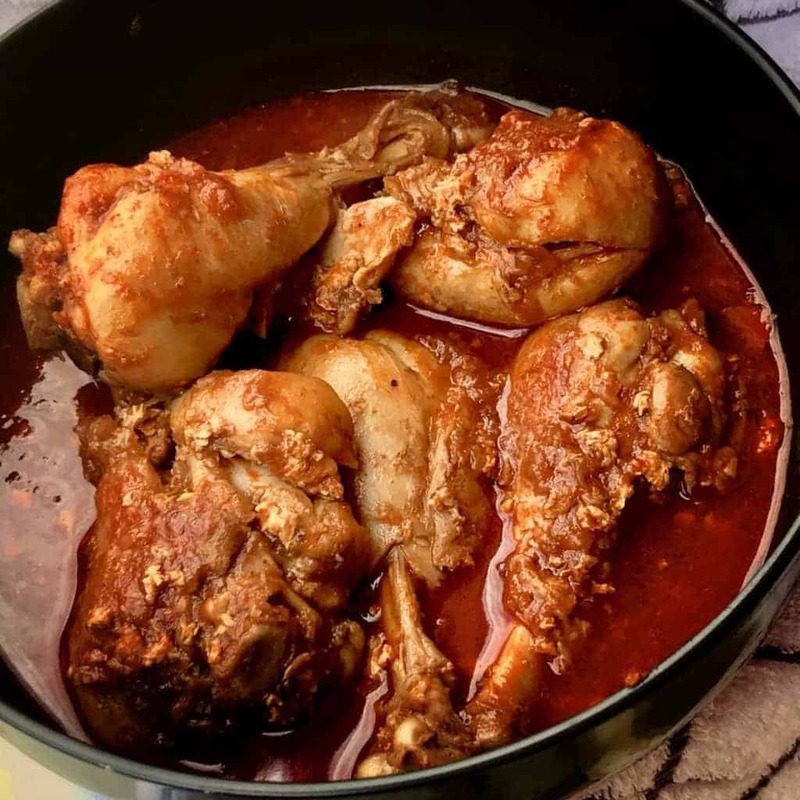 I know that old habits die hard, so if you’re still skeptical I would urge you to try some of these recipes without pre-browning and see how you like the flavor, appearance and texture. If you do, think of all the time you will save yourself. So, to recap, you don’t need to pre-brown vegetables or meats. You just place it all in the pressure cooker and if you don’t like the look when it’s cooked,, you can do a bit of browning afterward. encourage you to skip the pre-browning and do the recipe as I have told you to. Make it this way and then taste it and see how much better it is. If you follow this, you’ll save 10-15 minutes each time you cook. It’s all about great flavor and great taste accomplished in a very fast manner. Have your book and love it, but I am a little confused. 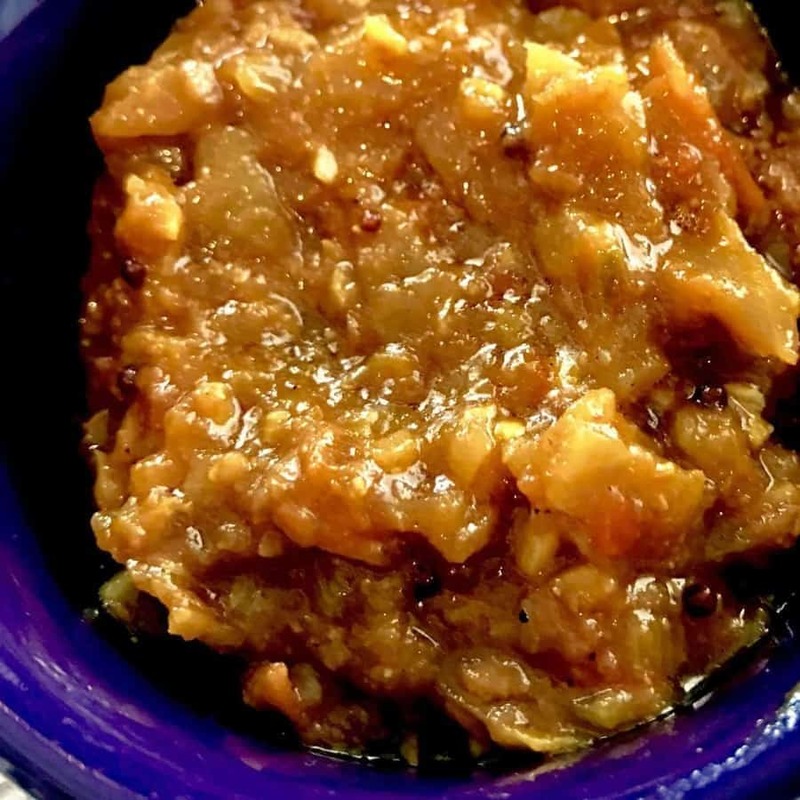 Your onion masala recipe DOES saute the onions and spices before cooking. Doesn’t this go against this video, and the premise of allowing the pressure cooker to create the Maillard reaction, and conserving the flavorful water in the onions instead of letting it go as steam? Thanks again for the book and website. hey there! I made this recipe early on before I fully realized the pressure Cooker’s potential to maillard. Given what I know now I need to redo this and post-sauté if at all but not pre brown like I did here. So, are there times when browning meat IS advisable? Yes 1-2 occasions I can think of. One is for appearance and I often reverse sear for that. Check out my IP gyros. They’re so unappetizing without that! Also when you want to caramelize. Say when you have a sugar-based sauce that needs to burn the sugar a bit. Lol! Too spidery for you? My gut has always been that sautéing vegetables before pressure cooking was a waste of time, and loss of liquid, but I didn’t fully know why. Thanks for the explanation!